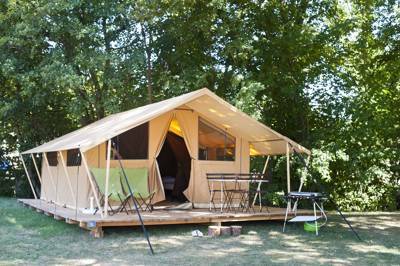 Camping amongst trees, with the Loire Valley on your doorstep! Pitches are spacious and have good shade to keep you cool in the hotter summer months. Some pitches even get the stunning view of the Loire river below. Imagine your tick list for a camping holiday. Peace and quiet; family friendly; space between you and your fellow campers to enjoy some World Heritage-standard scenery? 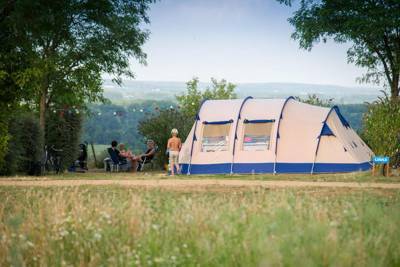 Now throw in bike riding along the Loire Valley, wine tasting in local vineyards, excellent facilities and, mon Dieu, you've got Huttopia Saumur . 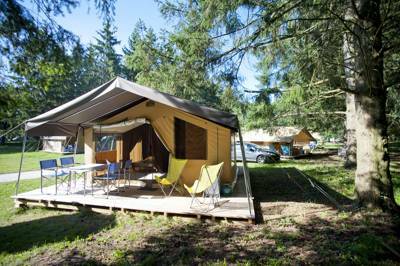 Set on the hillside overlooking the Loire and the forest beyond, Huttopia Saumur comprises 120 amply-spaced pitches that really give you a sense of being close to nature. You can choose the size of pitch you prefer, ranging from the most modest (but no less comfortable) Nature to a ma-hoo-sive XXL. 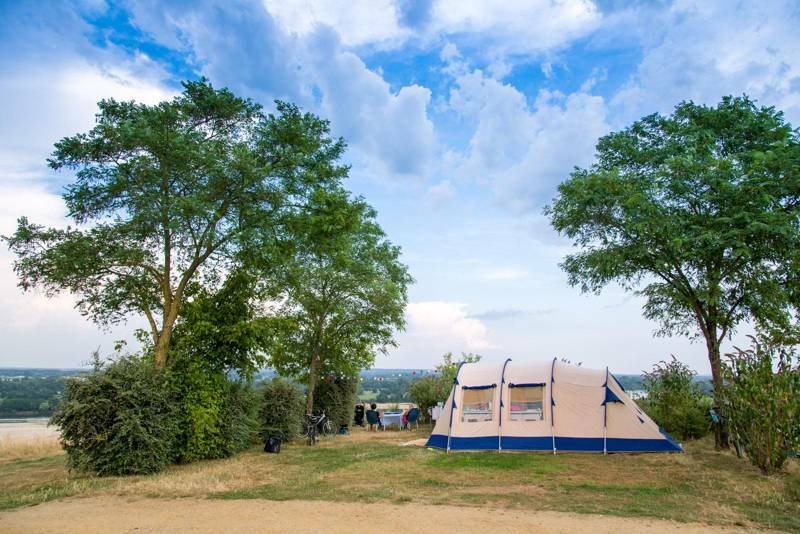 Though for our money, savvy campers should bag the pitches overlooking the Loire itself. If you prefer your camping a little more luxe, there are also wooden chalets, cottages, lodge tents and Bengali tents to rent. 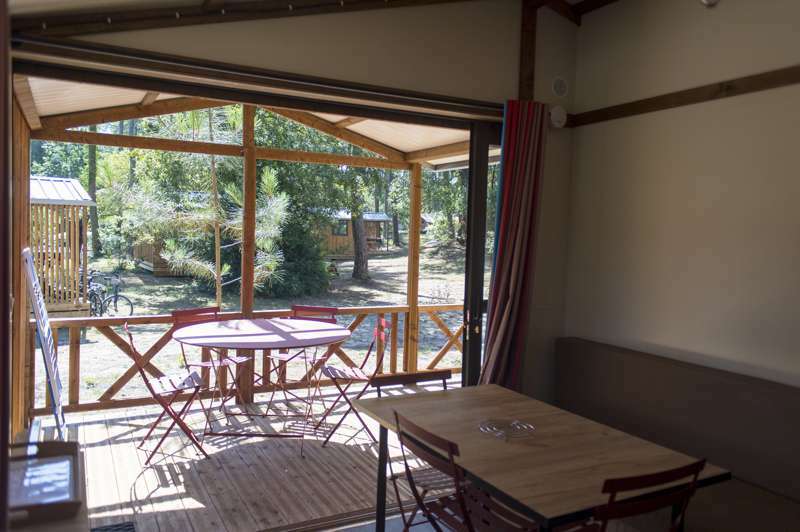 While Huttopia Saumur does include all the bells and whistles, peace and tranquility can be yours should you book your stay for the low season. But if you're wanting to make use of all the fabulous facilities (including a free kids club), book for July and August. Three swimming pools (one heated), a miniature farm, children's play area, bike hire and even a free weekly wine tasting should keep everyone entertained. A small onsite shop takes care of all those essential campsite provisions like freshly-baked bread for the morning. You'll also find a bar and a brasserie. Venture just 6km down the road to the historic town of Saumur and you'll find a great choice of restaurants, bars and a market. The town is also home to one of the region's more impressive châteaux, a world famous equestrian centre, and the Loire's finest vineyards (it would be downright rude not sample some, now wouldn't it?). The Loire Valley is a UNESCO World Heritage Site for good reason and, although there are no shortage of ways to savour its delights, we suggest you pack a picnic, get on your bike, find a secluded spot and soak up the scene. 2 person pitch from €18.50-€38.00. Adults from €3-€6.60. Children from €2.50-€3.85. See website for full details.